We acknowledge the commitment and work of those that have collaborated and contributed to the City of St. John’s this past year. These partnerships are vital to our economic development and social progress. Without these partnerships we wouldn’t have a thriving Community Garden at the Paul Reynolds Community Centre; a sustainable way to engage newcomers and long-time residents through workshops on best farming practices in this part of the world. Investing in local food-growing opportunities, not only increases knowledge and skills for all, but establishes a healthy, economical and accessible farm-to-table sensibility where all communities benefit. The partnership and investments made by the City of St. John’s and the St. John’s Farmers’ Market as well as the federal and provincial governments in the St. John’s Community Market, opened in July 2018, very much reflects our interest and commitment to supporting diversity and multiculturalism. In partnership with the Eastern Edge Gallery, the City was pleased to offer space for a new public art mural on Queen’s Road, with paint donated by The Paint Shop Benjamin Moore. The mural was designed and painted by visiting artist Jordan Bennett, a Mi’kmaq artist and Newfoundlander, as part of the local art festival Identify: A Celebration of Indigenous Arts and Culture. The St. John’s Local Immigration Partnership (LIP) also completed a new interactive website: MyNewStJohns.ca and MonNouveauStJean.ca. 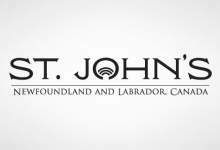 Newcomers can access economic, social and cultural programs and services in St. John’s through this site. On World Refugee Day, the City of St. John’s in partnership with the Association for New Canadians provided the Wyatt (Great) Hall for a photo exhibition of personal reflections on life in St. John’s. The ‘I Am Home’ photo exhibit provided an opportunity to reflect on the meaning of home and validated why it’s important to keep striving to make St. John’s a good place to live for everyone. We also look forward to participating with the community in the many events that celebrate Multiculturalism Week, March 17-23, 2019. I encourage all residents to come out and share in each other’s culture, food, music and craft and to connect with your community.